Federal Health Minister Rona Ambrose announced new rules on Monday aimed at reducing what is arguably Canada's most serious drug scourge, but a drug expert says it's probably too little, too late. Health Canada has revised the labelling standards for more than three dozen long-acting opioid drugs used as painkillers, raising the threshold for when they can be prescribed and strengthening warnings about the risk of addiction. The Health Canada advisory posted Monday says doctors will no longer be able to prescribe opioid drugs – morphine, oxycodone and fentanyl – for moderate pain, only to manage pain that's severe enough to require "daily, continuous, long-term treatment...and for which alternative treatment options are not adequate." "The label changes seek to reduce these risks, which include addiction, misuse and abuse, while preserving access for those who need them most," the advisory says. Ambrose announced the changes at the Canadian Medical Association's annual conference in Ottawa. "Too many people are abusing prescription drugs," she said, according to The Canadian Press. "Too many people are suffering and dying as a result." While the debate over marijuana grabs the headlines, the misuse of opioids has reached epidemic proportions. According to the 2012 edition of the Canadian Alcohol and Drug Use Monitoring Survey, one in six Canadians aged 15 and older who were surveyed reported using opioids in the previous 12 months. More than five per cent of those, about 243,000, reported abusing them. 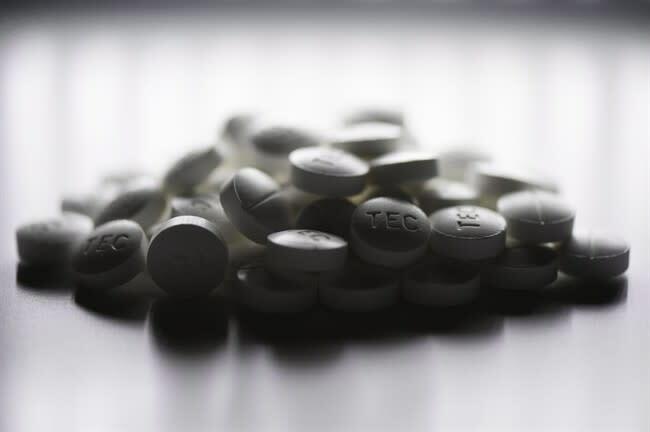 A study of death records in Ontario published last month in the journal Addiction found the opioid-related deaths nearly tripled between 1991 and 2010. On some First Nations reserves, abuse has reached crisis levels. The labelling changes, part of a broader government strategy to tackle the problem, are welcome but hardly get to the root of the problem, said Dr. David Juurlink, head of clinical pharmacology and toxicology at Toronto's Sunnybrook Health Sciences Centre. Juurlink, a longtime critic of the way these powerful painkillers are used, said the real issue is the fact doctors so readily prescribe them in the first place. “The doctors already have an entrenched practice with regard to opioids, and for any physician that practice is dangerous," he said. The medical profession allowed itself to be seduced into believing opioids – whose chemical structure is little different from heroin – could be given safely back in the 1990s, said Juurlink. Chronic pain is a widespread problem and doctors have only a relative handful of medications, such as anti-inflammatories, to treat it. Many don't work. So they leapt at assurances opioid use could be prescribed with little risk. “We were systematically misled by ‘experts’ who preached the gospel of opioids to thousands of doctors across Canada," said Juurlink. "They did that with good intentions because they believed what they were saying. But what they were saying wasn’t supported by data, by good data at least, and they were making huge sums of money from the drug companies to be a part of this message. The result has been thousands of deaths, he said. Patients demand increased doses as they build up a tolerance or mix opioids with other medications and alcohol. Clearer labelling is not going to change that. “What really needs to happen is doctors need to dial back on their prescribing," said Juurlink. "We need to start these drugs much less readily and for sure we need to escalate the doses much less readily than we now do, and we need to stop the therapy when it’s not working. The Health Canada advisory was received positively by the Canadian Centre for Substance Abuse, which is spearheading a national effort to reduce prescription drug misuse called First Do No Harm. Spokeswoman Theresa Woolridge said the announcement fits with one of the Do No Harm strategy's recommendations to review and revise product labelling, patient brochures and information supplied to doctors and patients. Woolridge said via email that the Centre's strategy singles out product monographs, the standardized technical papers that form the basis of much drug literature. They say the papers should be reviewed by a panel of independent experts every year or two, and more often if monitoring identifies any safety concerns. "This would ensure that the monographs are accurate, complete and safe," said Woolridge. "It would also improve the safety of pharmaceutical marketing campaigns, as companies are not allowed to make claims that are inconsistent with the product monograph. "As well, these monographs can also inform social marketing campaigns and other public education and health promotion initiatives and resources."